Walk down Little Lonsdale St and find a set of doors with a peep-hole and the 18th Amendment on entry. Walk up the stairs and you are transformed into an old world of the 1920’s prohibition era where the girls are dressed as flappers and guys as gangsters. That’s the description given on the official website and it’s a fair call… that is providing you go during the week. Friday or Saturday night and the place is packed with electro-dance music that pounds away turning the place into a uncomfortable disco made up of bodies, sweat and spilt beers. Wednesday or Thursday nights on the other hand and you have room to move, as well as the opportunity to sit back comfortably indoors or relax on the balcony whilst overlooking the State Library. 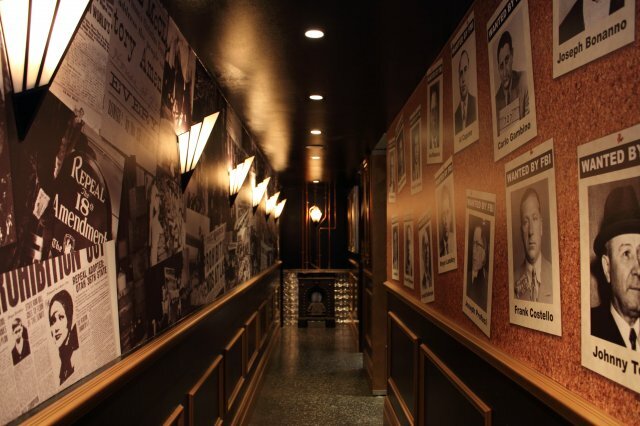 Mid-week also gives you a chance to take-in the décor, the stylish lounges, lights and industrial style bar, as well as peruse the wall of famous gangsters. 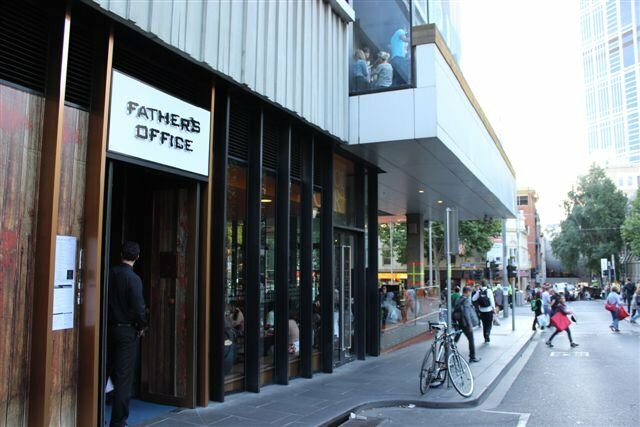 Father’s Office has many of the traits of your suburban local, with various day-of-the-week meal deals, drink specials and a host of interesting things going on – I went once and there was a fashion parade going on ( I assume that it didn’t spontaneously break out). They also have a happy hour that runs from 5pm-7pm and then again 8pm-10pm and includes a range of beer, wine and spirits – all priced at $5. In other words, all you have to do is make sure it’s not your shout between 7pm-8pm and you are set. Sticklers for accurate reporting would probably suggest that 7pm-8pm be named “sad hour” but that’s a whole different issue. Throw in the extremely affordable cocktails, punch bowls and $5 fruit Bellinis on a Thursday night, and you have the perfect venue for that post work mid-week drink.